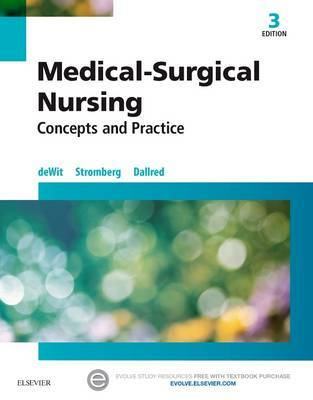 Providing a solid foundation in medical-surgical nursing, Susan deWit's Medical-Surgical Nursing: Concepts and Practice, 3rd Edition ensures you have the information you need to pass the NCLEX-PN® Examination and succeed in practice. Part of the popular LPN/LVN Threads series, this uniquely understandable, concise text builds on the fundamentals of nursing, covering roles, settings, and health care trends; all body systems and their disorders; emergency and disaster management; and mental health nursing. With updated content, chapter objectives, and review questions, this new edition relates national LPN/LVN standards to practice with its integration of QSEN competencies, hypertension, diabetes, and hypoglycemia.